Hello my name is Mark from SWANSEA PEST CONTROL. We hope that you find our monthly articles informative and interesting – we are here to give Bay readers help and advice on how to approach a pest problem. At Swansea Pest Control you will receive a polite and professional service from first point of contact, during a treatment and after the treatment has finished. As our valued customer, you will receive a FULL WRITTEN REPORT AND COSHH* SHEET with every visit to your property. We carry out a site survey and risk assessment on all our visits. We have Public Liability Insurance and we are a full member of the BPCA (our governing body). 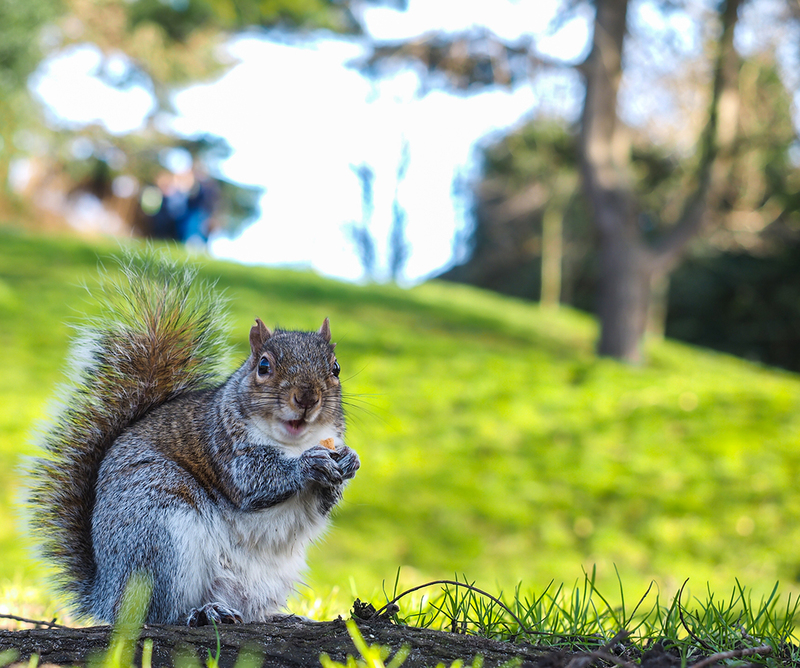 This month’s pest is our fluffy furry friend the grey squirrel – friend or foe you decide! The decision for a property owner between living with squirrels in the house or wanting treatments can be difficult. At SPC we always explain to our customers the options available for squirrel treatments in an understanding and sympathetic manner. Squirrels appear harmless and peaceful in the garden, we watch their acrobatics, and find it hard to see how much damage they can cause to property, inside and out. To gain access to a loft space they will chew or rip apart wood, plastic or felt roofing. They will be persistent as they will want to set up a drey (nest) for their young or to hide food for their winter stash. They can have up to three litters a year and up to 7 kittens in each litter so you could have up to 9 squirrels in your loft causing havoc! At the age of just 7 weeks the kittens can look after themselves. During any squirrel infestation they will rip up insulation and loft lagging to make a drey and can strip electrical cables and chew through woodwork and ceilings along with contaminating water tanks in lofts. The number one complaint we have from customers is the noise they make. Whether the adults are nesting or kittens are being vocal and playing, customers are kept awake at night and suffer from sleep disruption. At SPC we offer a humane trapping option (which involves a visit every 24hrs) or a trapping option to ensure no squirrels suffer for an unnecessary period of time. WE CARRY OUT EACH OPTION WITH CARE AND IN A HUMANE MANNER. We can make appointments to visit your property at a time when other members of the household such as children are not around – they do get attached to these furry menaces. At the end of a squirrel treatment we will carry out an external site survey and give the homeowner advice on proofing issues to help any further possible future infestations. We charge £30.00 per visit for the readers of Bay and have a response time of 24 – 48 hours to attend your property.